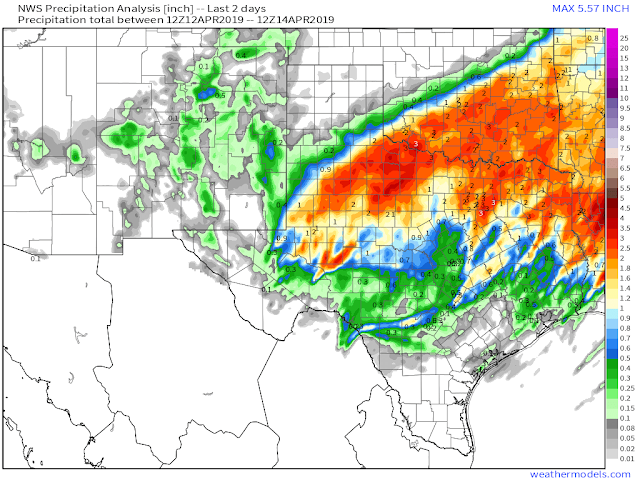 Storm Summary Sunday, April 14th, 2019. Downtown Ruidoso looking west at Sierra Blanca Peak after a fresh dusting of snow Friday night into Saturday morning. 2-Day NWS Precipitation Total Analysis. (As Of 6 AM MDT Sunday, April 14th, 2019). 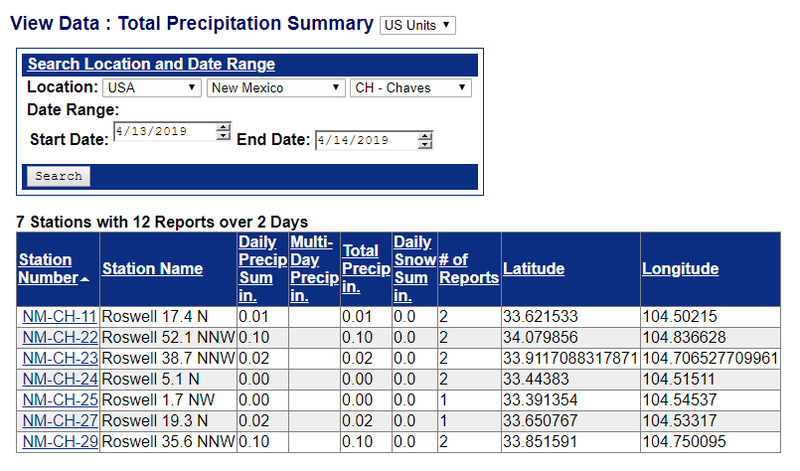 Light rain did fall over parts of Southeastern New Mexico Friday night into Saturday afternoon. But for the most part most of Chaves and Eddy Counties missed out on measurable totals. 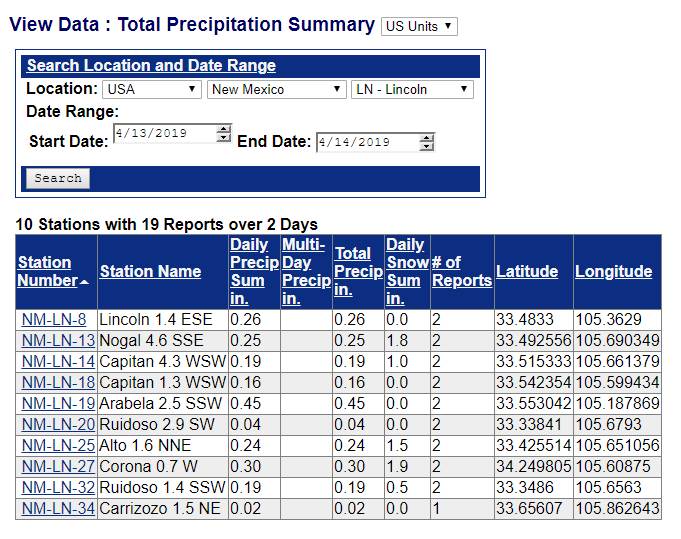 New Mexico CoCoRaHS Rainfall/Snowfall Storm Totals. (From 8 AM MDT Saturday, April 13th - 8 AM MDT Sunday, April 14th). 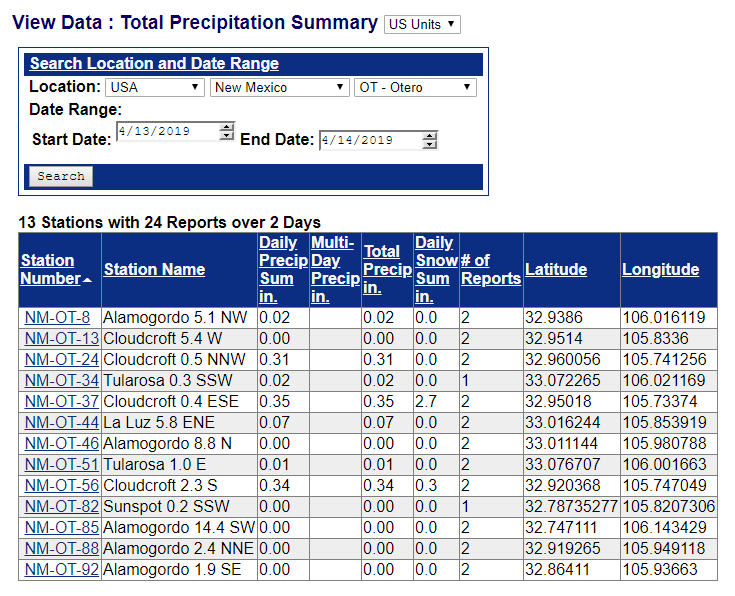 National Weather Service Albuquerque Precipitation Reports. FOR THE LAST 36 HOURS. - SANTA FE WATERSHED RAWS.